Turn to Lockman in Philadelphia for commercial lock installation and repair services. 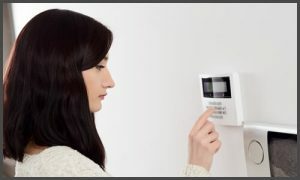 Our commercial locksmiths also install security systems and other devices to protect your property. Each member of our team is trained and equipped to assist in securing your office building or workplace against trespassers. We can meet the needs of various businesses, including auto dealers, repair shops, property management companies, and real estate companies. If you have a client that requires commercial locksmith services, feel free to recommend us. An access control system enables you to monitor who enters and leaves your facilities. It also allows you to prevent unauthorized people from gaining access to specific areas in your building. We install a variety of hardware specifically designed to meet the security needs of businesses, from cylinder locks and commercial deadbolts, to access control systems. The locksmith prices listed include labor and hardware costs. Please note that we can only give an approximate estimate of the cost of the task, based on the explanation you give to us over the phone. ©2018 Lockman - Do not copy mockup. All rights reserved.